The 360 review process is used by organizations to allow a group of coworkers to evaluate an individual’s performance. In contrast to a typical, single-manager-driven employee review, 360 reviews better highlight the skills and contributions of an employee and their ability to work within a team. To customize this template after signing up, choose '360 Review Template’ as example when creating a new survey. What is a 360 Review & Why Is it Important? The 360 review process is a comprehensive, modern approach to the standard, one-on-one yearly performance review. By collecting feedback from an employee’s manager, team members, and direct reports, the insights gained can provide more clarity on job performance and interpersonal skills across the greater organization. A 360 review evaluation is designed to provide more thorough insights into each individual’s strengths and weaknesses, and which specific aspects of their work would be best served with added professional development. Individuals have a better understanding of how their performance and effectiveness within the organization is viewed by other members of their team. 360 feedback is typically based on behaviors that other employees have experienced, whereas managers may not be as involved on a day-to-day basis. Organizations use many methods to seek 360 review feedback about employees. Some are more common than others and all depend on the culture and climate of the organization. In most organizations that ask for 360 feedback, the manager asks for and receives the feedback. The manager then analyzes the feedback looking for patterns of behavior to note. The manager searches for both positive and constructive feedback. The goal is to provide the employee with the key and important points without overwhelming him or her with too much feedback data. Often the manager looks for feedback in response to specific questions so the feedback is easier to organize and share. Some organizations use online instruments that give employees a score in each area assessed. Others still rely on open-ended questions. We recommend online processes because they make the feedback so easy to tally and share. Organizations hire external consultants to administer the surveys, usually when managers are receiving a 360 review. The consultants then analyze and share the data with the manager. Most of the time, the manager and staff join together to plan improvements for both the manager and for the department. This process is recommended to improve the organization as well as the performance of the individual employee. Why use Survey Anyplace as a 360 review tool? Automatically transfer your data to your HR tools and apps via Zapier. Deliver reviews directly into the right mailbox. Share your eviews with Email Invitations, stay in touch through Variable Confirmation Emails and keep your communication in order with Respondent Grouping. For the love of data! Take your reporting to the next level with all possible Data Filters you could ever need, Share Reports publicly or privately, set up Real-time Presentations and effortlessly export to csv or pdf. 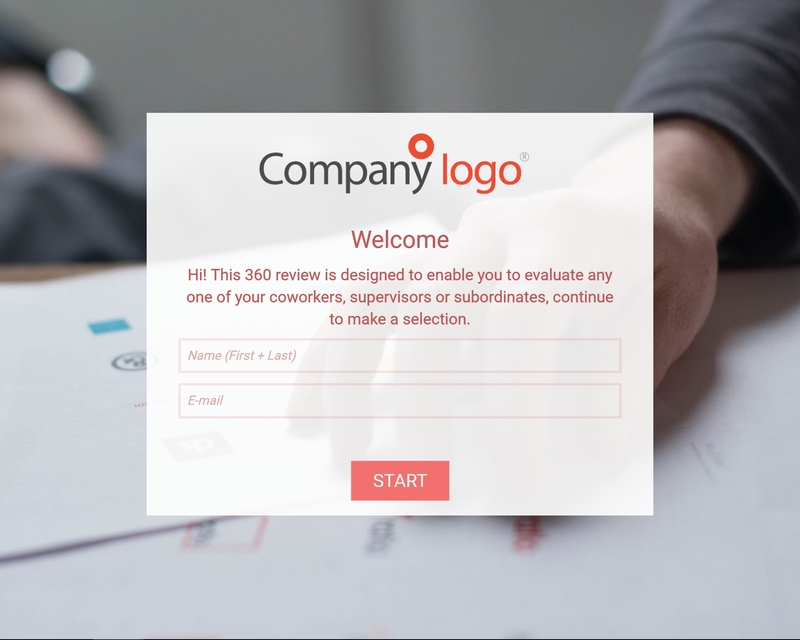 To use this sample 360 Review, sign up for Survey Anyplace , and choose ‘360 Review’ as template when creating a new survey. It is important that 360 feedback is efficiently and discreetly collected, and sent to a central database for evaluation by HR or other responsible parties. Mobile devices are ideal for this task, so we’ve ensured that all our templates, surveys, and landing pages are already mobile-friendly.